In this story, survivors of a global thermonuclear war live in isolated enclaves in California, surviving off what they can scrounge from the wastes and supplies delivered from Mars. The older generation spend their leisure time playing with the eponymous doll in an escapist role-playing game that recalls life before the apocalypse — a way of life that is being quickly forgotten. At the story's climax, a couple from one isolated outpost of humanity play a game against dwellers of another outpost (who play the game with a doll similar to Perky Pat dubbed "Connie Companion") in deadly earnest. The survivors' shared enthusiasm for the Perky Pat doll and the creation of her accessories from vital supplies is a sort of mass delusion that prevents meaningful re-building of the shattered society. In stark contrast, the children of the survivors show absolutely no interest in the delusion and have begun adapting to their new life. "The Days Of Perky Pat" came to me in one lightning-swift flash when I saw my children playing with Barbie dolls. Obviously these anatomically super-developed dolls were not intended for the use of children, or, more accurately, should not have been. Barbie and Ken consisted of two adults in miniature. The idea was that the purchase of countless new clothes for these dolls was necessary if Barbie and Ken were to live in the style to which they were accustomed. I had visions of Barbie coming into my bedroom at night and saying, "I need a mink coat." Or, even worse, "Hey, big fellow... want to take a drive to Vegas in my Jaguar XKE?" I was afraid my wife would find me and Barbie together and my wife would shoot me. 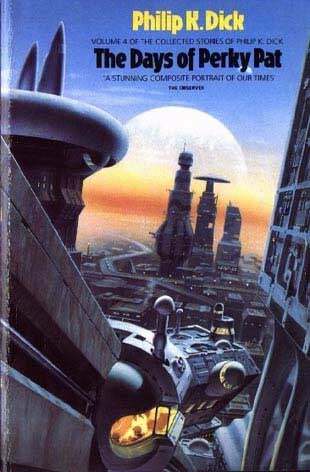 Via Chris Person and PKD Books.